Ideal for families and groups, the Camping Table Large utilises a convenient folding and lightweight design to allow for the table to be easily set-up as well as taken down. 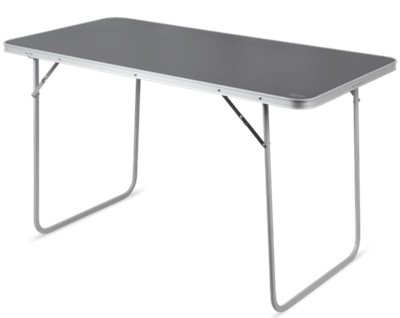 The Kampa Camping Table Large features a fibreboard table top that has been laminated for easy cleaning and weather resistance. The table is 70cm in height and the strong steel legs fold neatly under the table for ease of transport and storage.